One of the many incomprehensible assumptions of modern conservatism is that big government is inherently bad, but big unfettered corporations are desirable. No matter that unreasonable prices, declining wages and huge profit margins have had a far more taxing impact on American wallets than government ever did. By now, anyone who pays attention to economic news knows that over the last two decades the earnings of American workers have slipped drastically. Today, the average young high school graduate earns only about $13,000, according to Jeff Faux, president of the Economic Policy Institute. The rest of us, on average, are making between 10 and 16 percent less than we were in 1979, depending on who you ask–and even these figures are skewed upwards because they include the dramatic income gains of the most wealthy. This decline in personal earnings has a lot to do with why corporate profits–and the Dow Jones averages–are so high. Faux is one of 16 contributors to The New Majority, a collection of essays that explains why a new progressive moment in America may be approaching and how political professionals and activists could make it happen. The authors, a clique of progressive Democrats from academia, advocacy and political consulting, have a shared understanding of what sort of message might win voters’ attention. By using demographic data, focus groups and rational theorizing–mixed with lots of historical analysis–they’ve put together a compelling plan and a rough strategy for carrying it out. The group calls for a new Democratic Party vision that is pro-family–a “story” to counter the Republican narrative vilifying intrusive liberal government, taxation and regulation. In order to win elections, progressives should highlight the hard work of families struggling to maintain a decent way of life while coping with long hours, inadequate pay and economic uncertainty. And they should promote the notion that government can make higher education accessible and keep neighborhoods safe, families healthy and older Americans secure. It’s a compelling thesis. “By focusing single-mindedly on the bold project of helping working- and middle-class families to improve their lives in this new, uncertain period, a popularly oriented progressive Democratic Party can come to dominate America’s politics again,” writes former Clinton campaign pollster Stanley Greenberg, who co-edited the volume with Harvard government and sociology professor Theda Skocpol. In another essay, Michael J. Sandel, a Harvard professor of government, evokes the early years of this century when a surprising range of national leaders sought to control the political and social influence of big business so that the U.S. economy would foster an engaged, educated populace. This notion disappeared after World War II as America’s consumer culture took hold, Sandel writes in one of the book’s most insightful essays. Since then, government economic policy has become an instrument for promoting consumption and satisfying Americans’ desire for all kinds of consumer goods regardless of the impact on civil society. The book honestly acknowledges several major hurdles. Most Americans, right and left, rightly distrust politicians. This doubt could be overcome, the authors maintain, with an attractive message. But, they ask, how do you overcome a campaign finance system that encourages every politician to toady to the big money bosses? There will be no effective national leadership of a pro-working class, populist political movement without an end to corporate control of Washington. The Democrats no less than the Republicans are comfortably in bed with big business. Some chapters do a beautiful job of exposing the conservative underbelly. For instance, Ira Katznelson of Columbia University argues persuasively that Republican allegiance in the South is not preordained. In fact, Republicans gained control only by painting the Democrats as the party of black voters and by running attractive young white candidates against stodgy old Democratic machine bosses–while the Democrats themselves developed no counter-strategy. He argues that by promoting a transracial agenda that champions working families, Democrats could win back the southern states. The book’s analysis, however, leaves a gap where a feasible anti-poverty policy should be. Skocpol finds no winning strategy in promoting a fair welfare system or in trying to establish new programs for poor Americans. Instead, she writes, we need to devise social programs that cross class lines and serve the poor even as they protect working- and middle-class interests. It’s true that these plans might be more marketable. But taxpayer cost would likely be too large to make such laudable ideas practical. If social programs must be designed to serve half or even all of the population, antipoverty efforts may be doomed even with progressives in charge. Another critical component missing from the book: Where will this leadership for a new progressive strategy come from? A political pulpit? A charismatic core? Nowhere is there a clear discussion of who should sell this new agenda, or even a call for strong leaders willing to stake out what could initially seem to be risky politics. The biggest hurdles, of course, are in getting our electoral system out of the grip of big money and motivating people to trust politicians once again. There’s no denying the time is right to press for a new, inclusive, progressive agenda in the Democratic Party. And The New Majority does a masterful job of presenting possibilities, generating ideas and starting the strategic planning process in an evocative way. 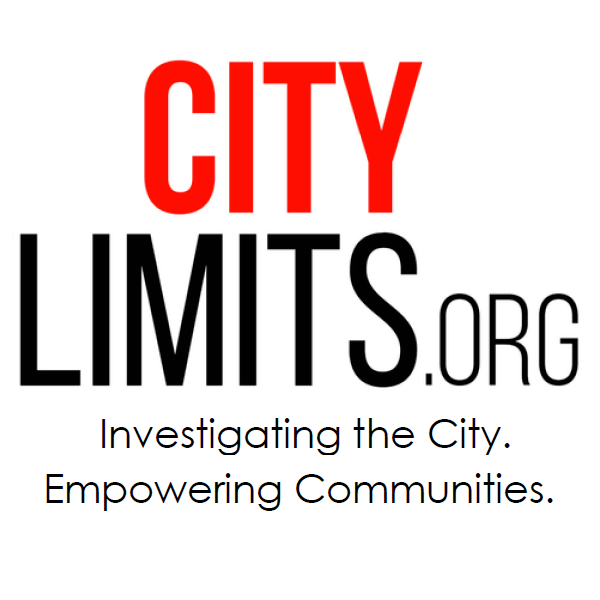 Andrew White is a former editor of City Limits. A book review of Community Organizing: Building Social Capital as a Development Strategy, by Ross Gittel and Avis Vidal, Sage Publications, 1998, 196 pages, $23.95.